Earlier this week, Microsoft officially released Windows 7 and most probably your already thinking on upgrading your PC. But doing a clean install, and tedious re-installation of your favorite apps from start can make you think twice before upgrading. On this blog entry, I want to share a cool app that can do unattended installation of multiple applications. 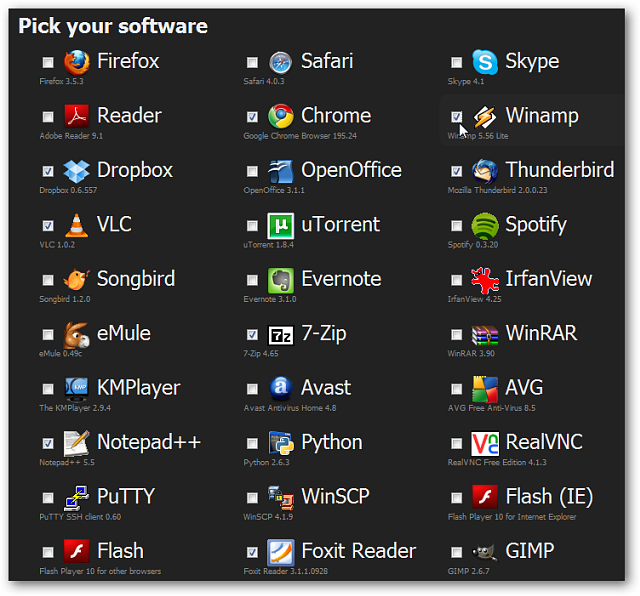 Meet Ninite, a cool multi-apps installer tool that can install a large selection of popular freeware and open source applications. All you have to do is tick the apps you want to install, download the Ninite installer, then leave it to do its job while your doing something else fun. Ninite app installs everything with default settings and deny any extra option (like browser toolbars) the app installers might try to add. 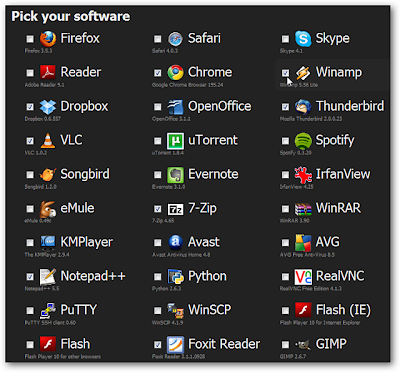 Ninite is a portable app which doesn't even installed on your PC. Upgrade now and use Ninite to install your favorite apps. Wow Great Information.Thanks For sharing It.Really Thanks.